There's about to be a lot of Kingsman in all of our futures. While some were caught off guard by Taron Egerton's recent statement that he wouldn't return for Matthew Vaughn's next Kingsman movie, titled The Great Game, it never meant his time as Eggsy was over. The upcoming film will actually be a prequel giving the origin of the Kingsman title, with brand new characters played by Ralph Fiennes and Beach Rats star Harris Dickinson. And now that film takes a big leap forward with the addition of multiple actors, all known for their villainous work in major franchises. 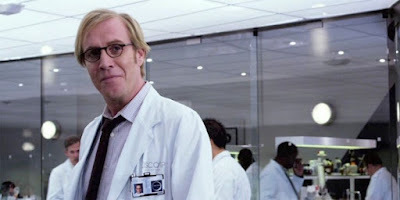 Rhys Ifans, who played Lizard in The Amazing Spider-Man is in talks to join Kingsman: The Great Game, along with Captain America: Civil War villain Daniel Bruhl and Game of Thrones' Charles Dance. Also rumored to be coming aboard is Matthew Goode, who played Ozymandias in Watchmen. The focus for Vaughn is eschewing huge names for quality actors, and I'd say he's certainly accomplished that. So for those who are a little bit confused, Kingsman: The Great Game is set about 100 years prior to current events, and center on the man who would first earn the title of Kingsman. Expect it to be more of a period piece than an over-the-top spy flick. Filming is expected to begin in January 2019, with a release date of November 9th 2019. As for a proper Kingsman sequel, you can see the apparent conclusion to the Eggsy/Harry Hart saga in 2020 as Vaughn plans to begin work on that next year, as well. Phew! Busy.